Home News Back to school Special. BACK to SCHOOL SPECIAL. 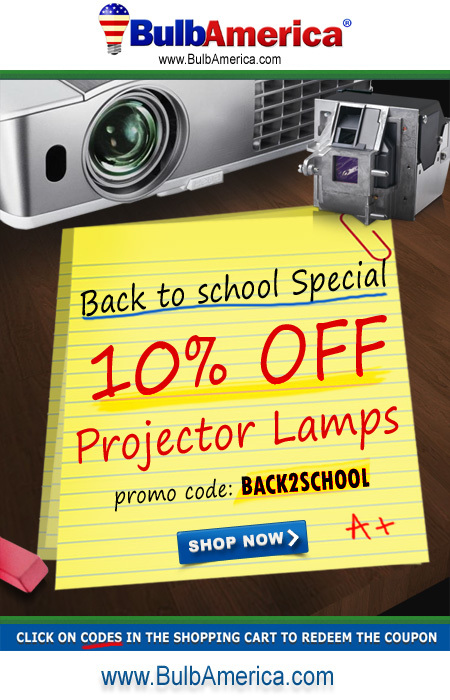 Save 10% OFF Projector Lamps.